The Himolla Powered Cygnet Recliner with Integrated Footrest is sure to become your partner in relaxation. Want to really spoil yourself? Add the optional Amazon Alexa module to control the recliner with the sound of your voice- Now that's relaxing! The powered Cygnet chair features a contemporary design with the latest in furniture technology. Optional Alexa module allows your voice to control reclining functions. Reclining chair with integrated footrest matches the Cygnet sofa group perfectly. 3 Sizes (small, medium and large) to fit almost any body type. Large selection of long-lasting leather options and colors. Powered gas back and footrest can be "tuned in" to your mood of the moment. Manual Cygnet recliner version is also available. 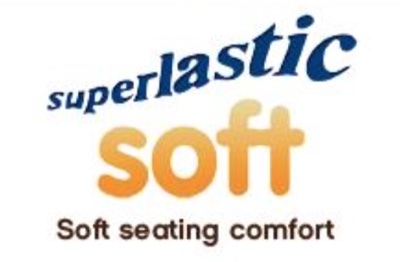 Superlastic Cold Cured Foam (3.4 pound density memory foam). Recliners have active lumbar support and ergonomics for proper, healthy blood flow. Choose from an amazing selection of wood finishes and a variety of leather grades in many color options. As you can see, there are a multitude of size and base options for the Himolla Cygnet Powered Recliner. Currently in North America, the Stainless steel look is the only base option available (which is the most popular). We anticipate the addition of the other base options in the future. Certainly we can pair a Cygnet power recliner with integrated footstool to almost any person and interior decor (both U.S. and abroad). -Wood (see the wood stain chart for available stains). Currently only available in Europe. -Stainless steel look- Polished, modern and beautiful (standard in the U.S.). -Wood with Stainless steel ring- A combination of modern aesthetics and wood finish. Currently only available in Europe. -Stainless steel- All the characteristics of modern stainless steel. Keep it polished and shimmering! Currently only available in Europe. -Matching leather or fabric base (super retro) is not yet available in the United States- European customers only (hopefully available in North America soon). HIMOLLA WARRANTY- LIMITED 5-YEAR GUARANTEE- Himolla offers a 5-year guarantee on all of the following parts: Padding, sub-springing and interiors springing. Frame and non-moving parts. Durability and resistance properties of their Longline leather. Cold cure moulded seat cushions.